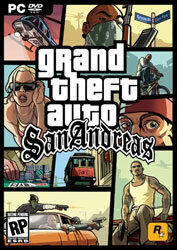 This site is dedicated to Grand Theft Auto: San Andreas, the fifth title in the Grand Theft Auto video game series. 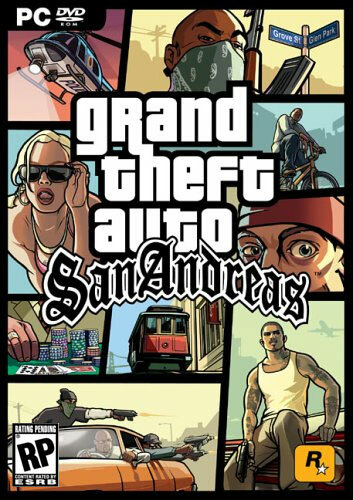 The game was released in 2004 by Rockstar Games, two years after its predecessor GTA: Vice City. The game was initially released for the PlayStation 2 platform, and later released for the Xbox and PC. San Andreas, one of the most successful video games of all time with over 20 million units sold, is set in the early 1990s and tells the story of Carl Johnson, a gangbanger who returns to his hometown of Los Santos and immediately gets sucked back into gang life. Two years after the release of the mega-hit "Vice City", Rockstar Games presented us with a new chapter in the Grand Theft Auto book, "San Andreas". Set during the 90's in the pseudo-California state, we hit the streets of three cities with Carl Johnson, our newly met gangster. The title was surrounded by enormous hype during its development, and is widely recognised to have passed the expectations set upon it. This addition to the Grand Theft Auto series was warmly welcomed by the general public, and strengthened Rockstar Games' position at the head of the industry. It has sold over 20 million copies to date, no small accomplishment. Boasting partnerships with leaders of the entertainment industry such as Interscope Records and Universal Music, Rockstar aimed to compliment their game with one of the strongest soundtracks ever in a video game. 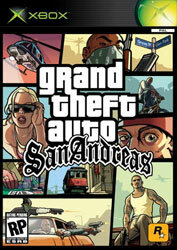 In a press release ending the fiscal year of 2004, Take 2 Games announced the success of Grand Theft Auto: San Andreas. The title alone brought in 54% of the fourth quarter sales of 2004. The latest sales numbers have passed $300 million, and the title has set records in the UK for the fastest selling video game title. According to NPDFunworldSM data, San Andreas was the top selling PlayStation 2 title in the United States in October and November 2004, and has so far brought in close to 30% more revenue than its predecessor Grand Theft Auto: Vice City. In an attempt to maximise exposure and bring the game to a wider market, Rockstar Games released PC and XBOX versions of the game in the summer of 2005. The official game information (as released by Rockstar) is as follows. For more about the story, see the San Andreas storyline page. "Five years ago Carl Johnson escaped from the pressures of life in Los Santos, San Andreas... a city tearing itself apart with gang trouble, drugs and corruption. Where films tars and millionaires do their best to avoid the dealers and gangbangers. Liberty City. Vice City. Now San Andreas, a new chapter in the legendary series. Grand Theft Auto returns to the PlayStation�2 this October." "It's about giving people that freedom of choice. It's still very much an action game, but there's also a whole world out there to explore if you want to. At points in the GTA existence we've gone very, very non-linear, like GTA2 was very, very non-linear. And we've tried to get the best of that (in GTA: SA) which comes down to giving people the freedom of choice at any moment. You can also get the advantage of a story which relies on emotion and characters. So the story opens up, it feels very non-linear, then it closes for a bit, then it opens up again. It works quite well I think." 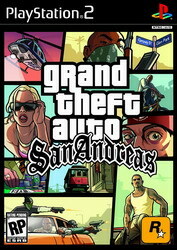 The PC and Xbox versions of Grand Theft Auto: San Andreas were announced at the end of 2004 and were released simultaneously in the second week of June, 2005. Rockstar Games began actively promoting GTA San Andreas PC in April of 2005 with a first look at San Andreas PC in Gamestar magazine. Here are the general improvements provided by the ports (for more specific details, scroll down to either the PC or Xbox sections). The visibility (draw) distance has been improved to take advantage of the more competitive hardware. The game world feels more solid with higher quality textures and a higher level of polygons. The game textures were originally compressed for the PS2 version, so with the new versions the game looks as it was meant to look. Real-time shadows and reflections were added to the game. An additional radio station was also added, allowing you to import your own MP3 songs for in-game listening. You are able to set your songs to be played in a radio-station mode, meaning there will be DJ commentary, San Andreas advertisements and weather bulletins inbetween songs. The quality of the in-game sound was improved, and supports Dolby Digital 5.1 surround sound. A "replay" mode allows you to relive the past 30 seconds of your gameplay action with cinematic camera effects. You are also able to save these replay files in a convenient format and watch them later or share them with friends. You are once again able to play GTA in a widescreen mode. Save your player stats to an HTML file, which can be put on the internet and shared with others. Photos taken with the in-game camera can be exported as .JPG screenshot files. Support for the modding community. A great part of the PC version of Grand Theft Auto: San Andreas is the possibility to modify it: Rockstar left important game data files unlocked and in text files as opposed to hard-coding them in the game. Although Rockstar listed "player modifications support" as a feature prior to release, Rockstar did not provide any game editors with the game. 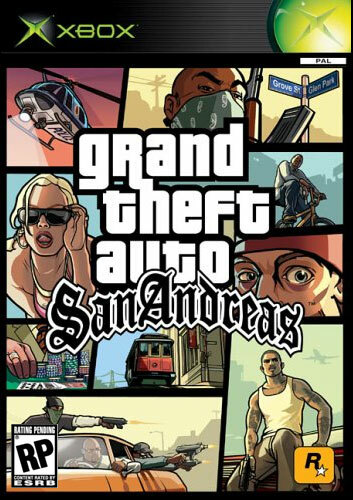 It was decided that the PC version of San Andreas will not have an inbuilt 2-player mode as "the dual keyboard and mouse set up proved too unwieldy for players and didn't work with the PC version of San Andreas' greatly improved free camera mechanics. Rockstar North decided to focus on maximizing the single player experience." The Xbox version of San Andreas is very similar to the PC version; however, the native resolution of the Xbox is smaller than the PC, so the same level of detail cannot be expected. Similar to the PS2 version, players are able to move the camera around the character or vehicle with the right ministick and the 2-player mode from the PS2 version is also included. For the first time you are able to make 30 second replays and have a custom soundtrack on an Xbox GTA, though. This shows that the Xbox version resembles the PC version more, as opposed to being a straight port from the PS2 game. "If you have been waiting all this time to play it on Xbox, you won't want to let it pass by; San Andreas is a must-play videogame experience."